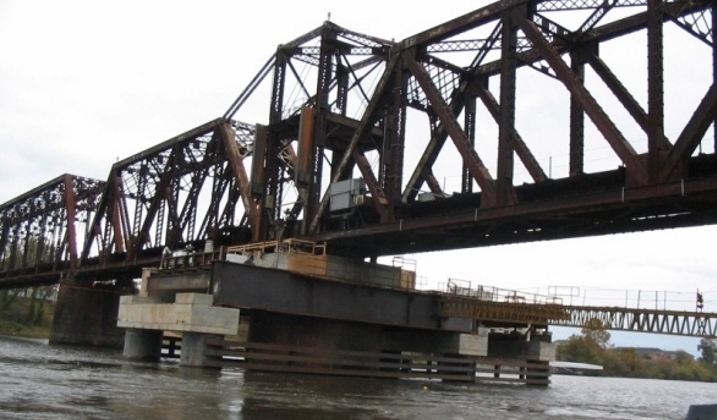 Pier Reconstruction of Swing Span Bridge | OCCI, Inc.
OCCI completed a Design-Build overhaul of the nearly 90-year-old railroad bridge across the Ouachita River between Monroe, LA and West Monroe, LA. The center swing pier of the bridge was rebuilt due to the fact that over time it had shifted out of alignment. 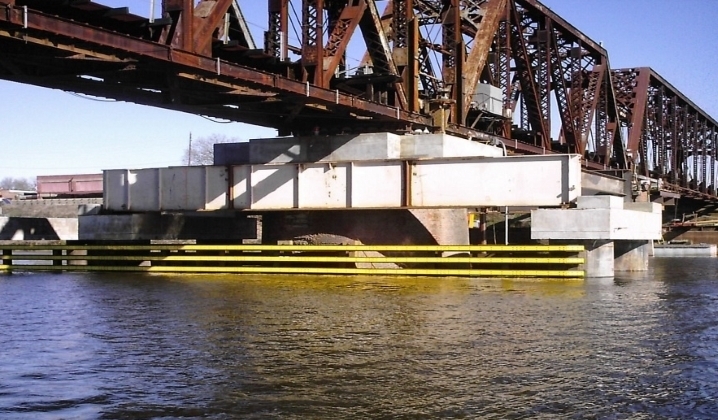 The replacement of the center pivot pier of the 295’ long single track railroad swing span included the installation of new drilled concrete shaft foundations with composite steel and concrete pier cap to serve as the new center pivot pier. The work also included the partial removal of abandoned masonry center pivot pier, construction and erection of temporary falsework support of swing span during placement of new pivot pier cap, relocation of swing span structure into vertical and horizontal alignment with adjoining fixed span bridge sections, furnish and installation of new steel pivot assembly and ring gear, rehabilitation/machining of existing pivot span drive machinery, structural steel strengthening of existing swing span and fixed spans to increase allowable train speed on the bridge, rehabilitation of existing electrical service to bridge and installation of navigation fender system to protect new pivot pier from barge traffic. 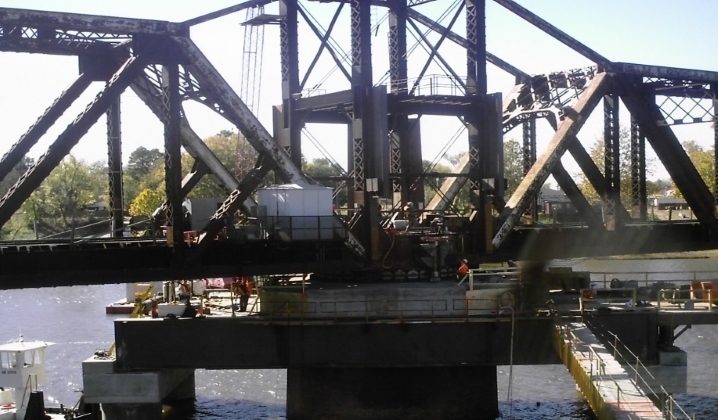 The raising of the swing span, relocation and alignment of the swing span, partial center pivot pier removal, placement of center pier cap, and operating machinery rehabilitation & replacement was completed under an 18-day Coast Guard navigation channel closure while maintain live rail traffic.